Every model has a corresponding frequency conversion Portable Air Compressor,which controls the air flow by changing the rotational speed of motor,making the air output and electricity consumption smoothly vary synchronously with the different air flow.When the air use quantity falls,the air supply decrease and so does the electricity consumption for energy conservation.For capacity ranging from 2 to 60m3/min and discharge pressure from 0.5 to 1.3 Mpa,there are corresponding models available to customers with different requirement. 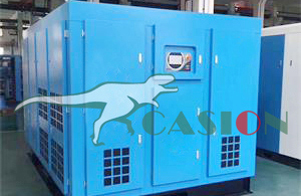 Screw Air Compressor, Water Cooling Chiller, low temperature in the compression chamber, safe and reliable. 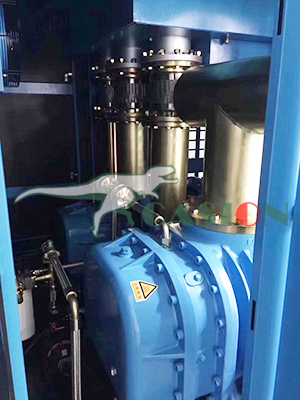 The mechanical seal, the gas liquid system and the lubricating oil system are completely separated to ensure the reliable operation of the unit. 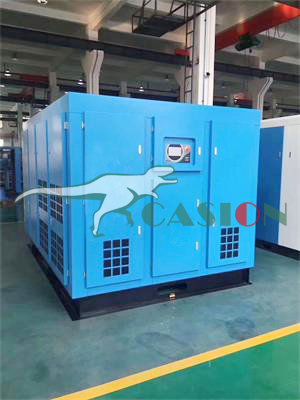 Screw Air Compressor, the speed of 1 and 2 is lower than 2200rpm, and the operation noise is lower. The vibration of the unit is small, the machine can work smoothly and at high speed, and it can realize the non - basic operation. 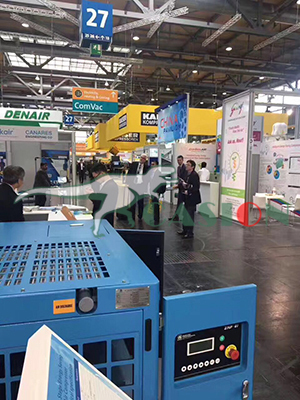 The screw Mini Air Compressor can be equipped with the pre and post processing system to make the High Pressure Air Compressor run more stable, and the compressed gas is more clean. Looking for ideal Ozone Machine Air Compressor Manufacturer & supplier ? We have a wide selection at great prices to help you get creative. All the New Screw Air Compressor are quality guaranteed. We are China Origin Factory of 22kw Variable Speed Screw Compressor. If you have any question, please feel free to contact us.